Beautiful! Hope you are feeling better. So sorry you had the flu. 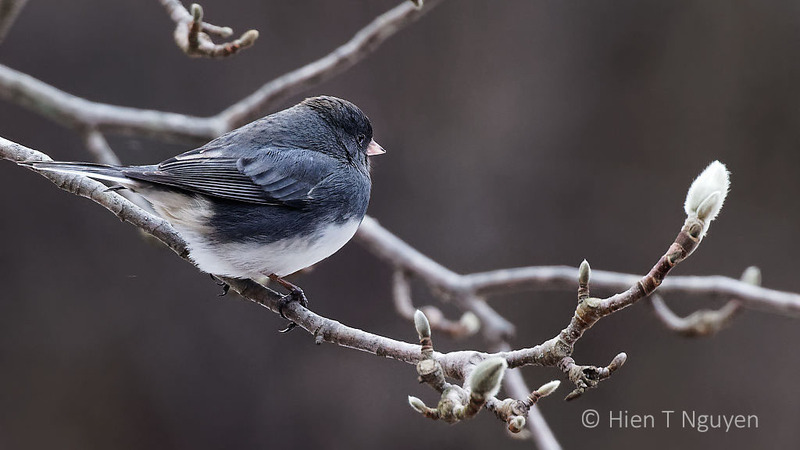 Thank you for sharing the beautiful birds on your blog. I have three feeders on my porch, and the majority of the guests who dine there are cardinals, downy woodpeckers, and Carolina chickadees. I’m thankful I can see and hear them. Thank you for visiting and commenting! It looks like we have the same kinds of birds in our backyards. Absolutely great images. Sorry to hear you have had to endure the flu this year, I have been lucky so far this year but last year it got me, hopefully I get pass the season this time. Hien, I’m glad to hear you are doing better now! Thank you Irene! 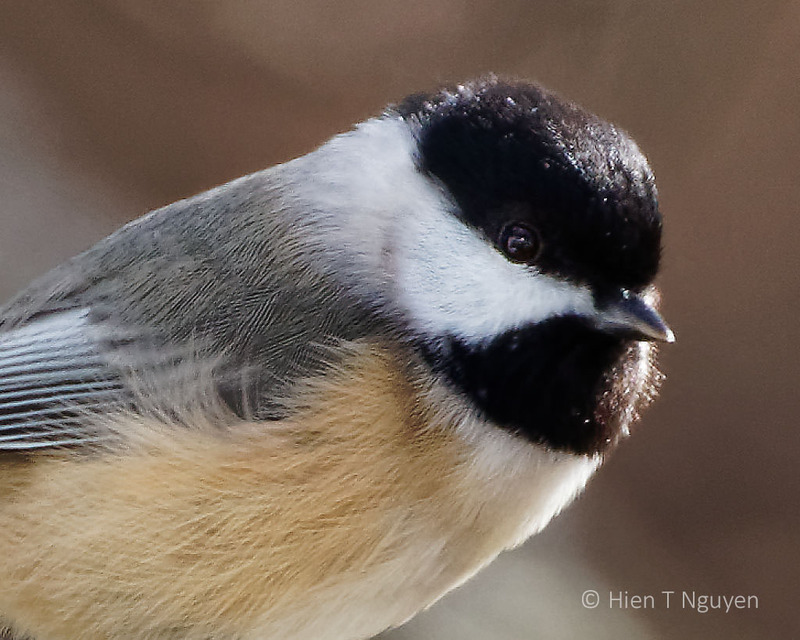 There are many Chickadees in our backyard, and even if they are small and fast I can usually get at least one shot of them. 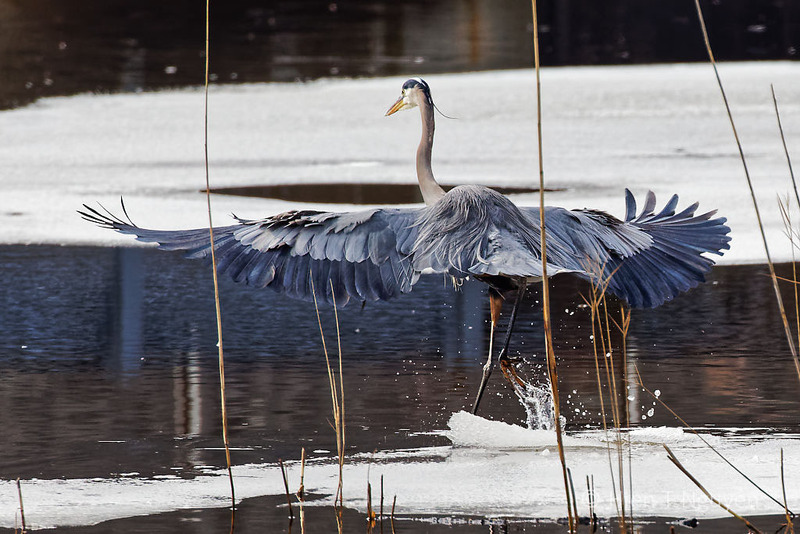 The heron photos are fun, but I’m sorry you haven’t been having fun! I hope you’re much better and will be able to get out again soon. Take care! Thank you Lynn! I am okay now, haven’ t gone out to photograph yet, but the weather has not been too great either. Beautiful and excellent shots. It is like the birds “talking” with you! Thank you so much Mohammad! Wonderful pictures – feel better soon! 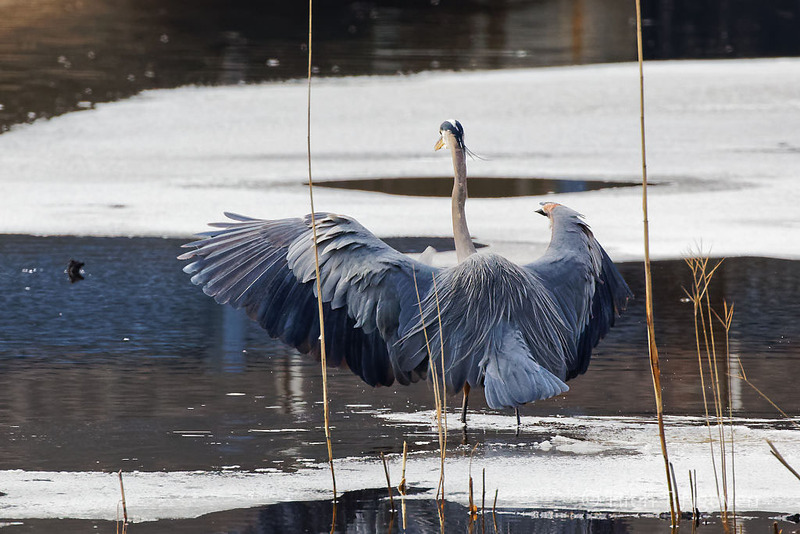 Loved the beautiful images, particularly of the GBH! I hope you will feel much better soon. Thank you very much Helen! Beautiful photos. I particularly like the first photo. I hope you feel better soon. Thank you very much! I am almost 100% back to normal. My goodness! I hope you are feeling better. It awful to catch such a beast and fight it to its death. Thank you Tim! The flu wasn’t bad as the one I had last year, that I caught in California! Next year I will have to get vaccinated, if that helps. It is good to hear that it was not as bad. Yes, you do need to get a vaccination. I do it every year. I am sorry to hear you had the flu 😦 I hope you are continuing to recover and do take it easy. Thank you Takami! I am almost over that flu now. Fabulous captures, Hien! I hope you feeling much better now! Thank you Donna! I am feeling much better now. You are right, Robert! I looked at some photos from 9 years ago, and some of them are not too bad. I really need to make time and clean up/catalogue my photo collection but I truly don’t want the flu clear up my schedule! Ha! I hope you are feeling 100% soon. The Carolina Chickadee is just adorable! Thank you Emma! I am on the mend, not 100% yet but getting there as fast as I can. Flu-type viruses can leave you feeling washed out for ages, so hope it does take too long before you are well enough to go out taking photos again. Hope you will be feeling better soon. Thank you! I am almost back to a healthy normal now. Take care, Hien. 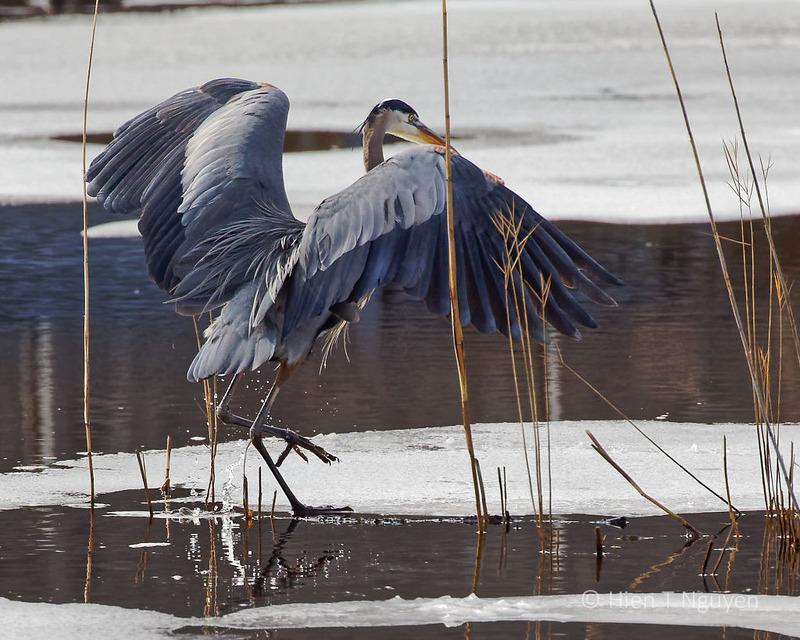 The photos are lovely–the blue heron photos are gorgeous! Lovely photos to brighten up the weekend. Hope you are feeling better, Hien! Had the flu myself but lucky enough to be inside for only 5 days. Take care! Thank you! My bout of flu lasted a little bit longer, but I am okay now. Sorry to hear you’re unwell. Hope you recover quickly and can get outdoors again soon. 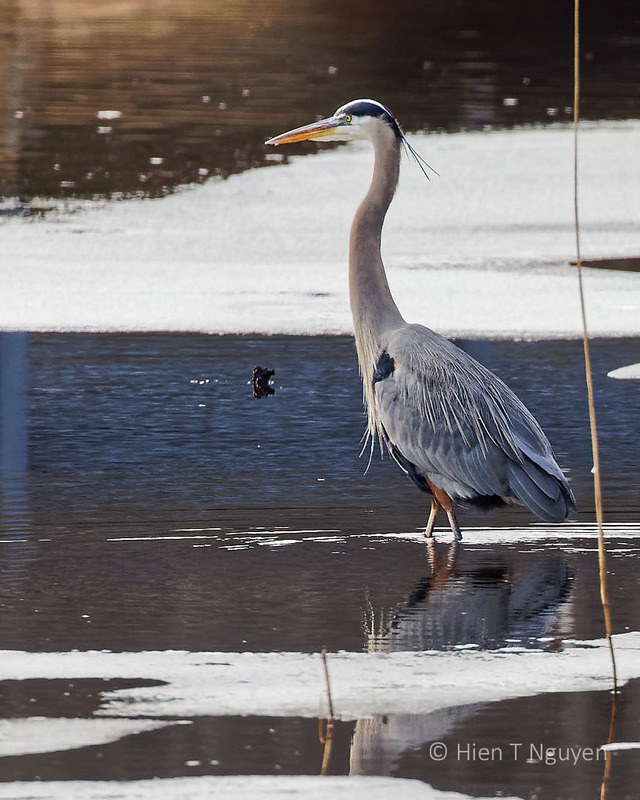 It’s no fun being stuck indoors when you’re such an avid nature photographer. You certainly take a beautiful bird photo. The detail is extraordinary and so clearly focused. Thank you very much Vicki! I am almost back to normal now. Looks pretty c-c-c-cold there. Hope you’re on the mend. Nothing to do but check on the backyard birds when the weather turns nasty. That’s a great shot of the Chickadee. I find those little black heads so difficult to get just right, but you certainly succeeded! These are beautiful. May you heal quickly! Thank you very much! Feeling much better today. Wonderful photos. Glad you have your backyard visitors since you’re homebound right now. Sorry you’re feeling poorly. I always recommend either homeopathic oscillinium or cats claw herb for the flu….knocks it right out. Sending on healing energy. Thank you Katelon! I will look into oscillinium, but the flu is mostly gone today. You are right about the flu being no picnic. Next year I’ll have to be more careful, may be get vaccinated. I’m on the fence about vaccinations. They say 80% of folks who get the flu had shots, though some claim they don’t get it as bad and recover faster, but who really knows? Glad you are on the mend! Thank you, glad you like these photos! Beautiful images, as always. I hope you are feeling better soon. I am feeling better today, thank you Lisa! I am so sorry you are unwell and hope you’re on the mend very soon. These are beautiful pictures. 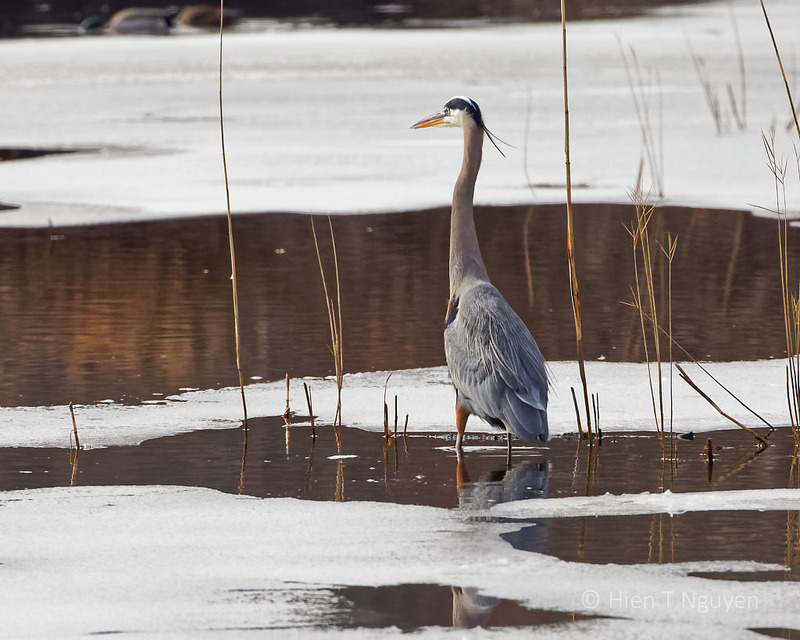 Majestic GBH! Thank you. I am feeling much better now! It did take a while.